As part of its project to promote clean food, food safety regulator FSSAI will train about 20,000 street food vendors in the nation capital over the next four weeks.The decision to launch ‘Project Clean Strategy Food’ was today announced at an event to connect with corporates, media specialists and food experts to promote food safety. 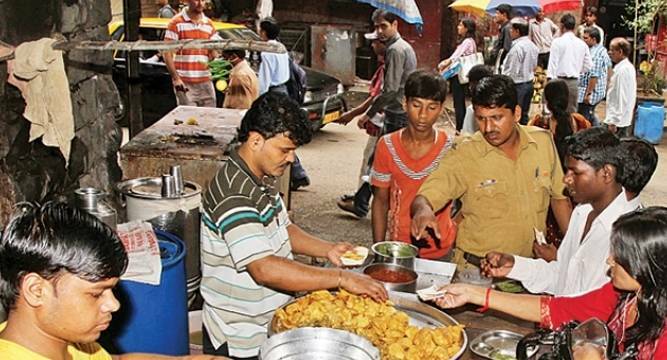 As part of its project to promote clean food, food safety regulator FSSAI will train about 20,000 street food vendors in the nation capital over the next four weeks. The decision to launch ‘Project Clean Strategy Food’ was today announced at an event to connect with corporates, media specialists and food experts to promote food safety. The event was co-organised with the Indian Institute of Mass Communication. Food Safety Standards Authority of India (FSSAI) has partnered the government’s Skill India initiative and others for the project. “FSSAI... announced the launch of Project Clean Strategy Food. Under the Delhi initiative of this project, FSSAI with Skill India and many other partners would train about 20,000 street food vendors in Delhi over the next four weeks,” according to an official statement. Speaking at the same event, FSSAI CEO Pawan Agarwal said the country faces huge burden of food-borne diseases, the food safety can be ensured if all the citizen and businesses are involved in the process. He added the capacity building of food businesses and advocacy with citizens is central to the working of the food regulator. There is no way to ensure food safety for all unless each citizen and all food businesses are involved in the process,” Agarwal said.